This quick weeknight Chicken and Asparagus Lemon Stir Fry is perfect for spring, made with lean chicken breast, asparagus, fresh lemon, garlic and ginger. Chicken stir fry nights happen often in my house! I add any vegetables I have on hand and try to use vegetables that are in season. 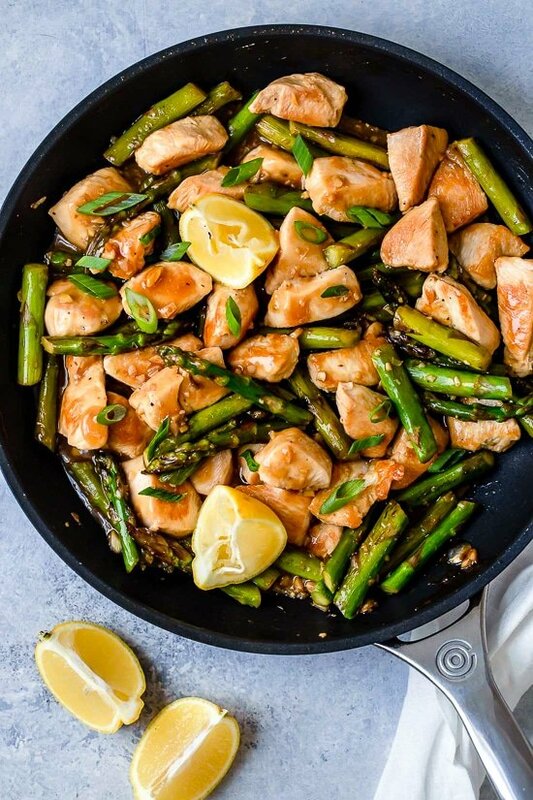 I love the asparagus and lemon combo here, it’s perfect for Spring! 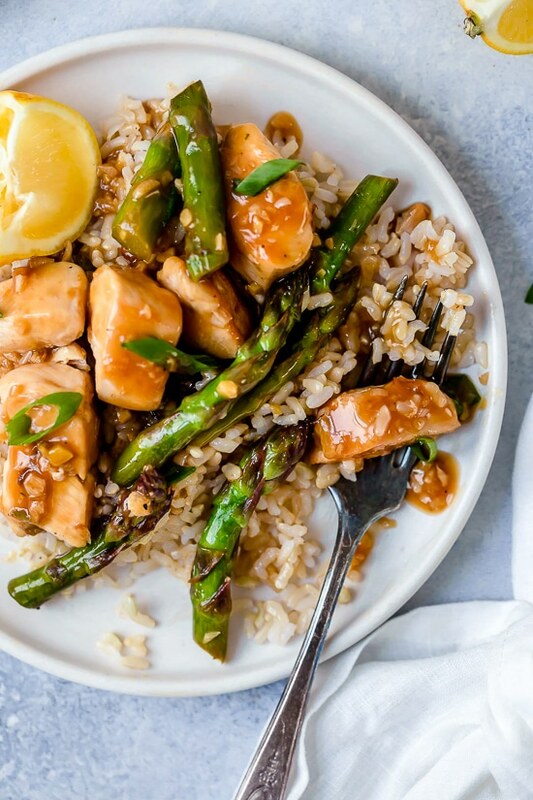 It’s great over brown rice or cauliflower rice to make it a meal. 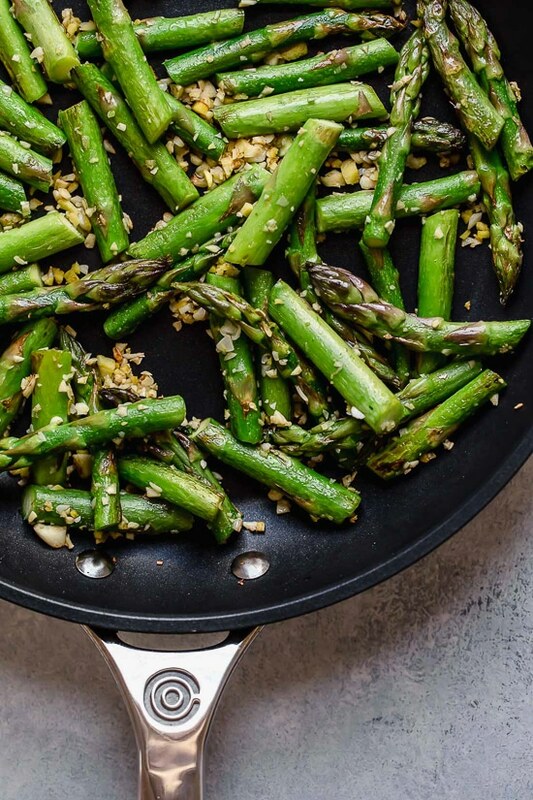 This low-calorie dish has been so popular on Skinnytaste since posting it way back in 2014, I decided to showcase it today now that asparagus season is here! I used a reduced-sodium Japanese soy sauce called Shoyu which is similar to Chinese soy sauce, but has a more full bodied flavored and a touch of sweetness that I’m really in love with. I like Eden, which is organic and non-GMO. You can use either one. We served this over brown rice to complete the meal. I always peel and freeze my fresh ginger in a ziplock bag. It keeps for a few months and it makes it easier to grate. You can also buy grated ginger in a tube.To make it gluten-free, use Tamari in place of soy sauce.To make this Whole30 compliant you can swap the soy sauce for coconut aminos (affil link) and the cornstarch for arrowroot powder or tapioca starch.Swap the asparagus for broccoli, mushrooms, snap peas, or a combination of veggies. 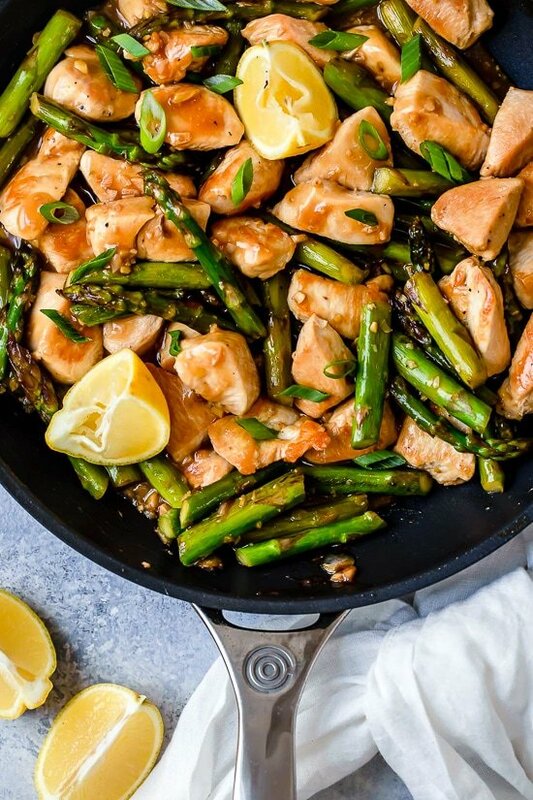 This quick chicken and asparagus stir fry made with chicken breast, fresh lemon, garlic and ginger is the perfect fast weeknight dish. 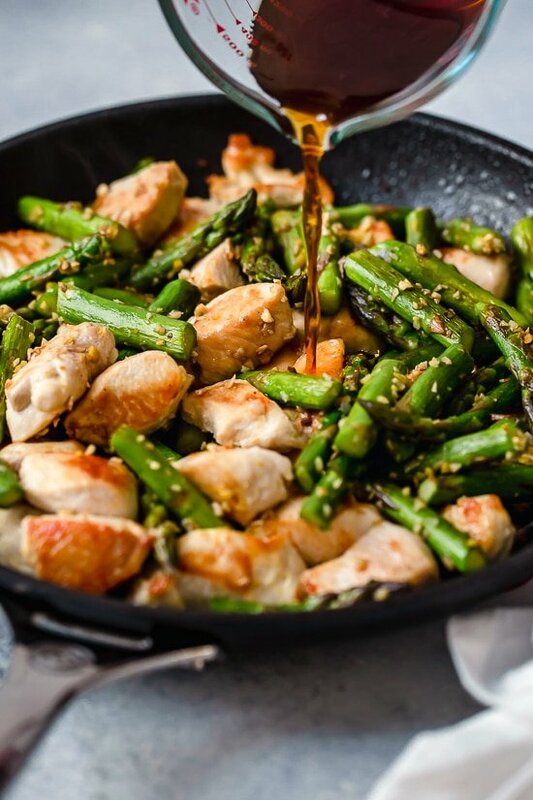 Lightly season the chicken with salt.In a small bowl, combine chicken broth and soy sauce.In a second small bowl combine the cornstarch and water and mix well to combine.Heat a large non-stick wok over medium-high heat, when hot add 1 teaspoon of the oil, then add the asparagus and cook until tender-crisp, about 3 to 4 minutes.Add the garlic and ginger and cook until golden, about 1 minute. 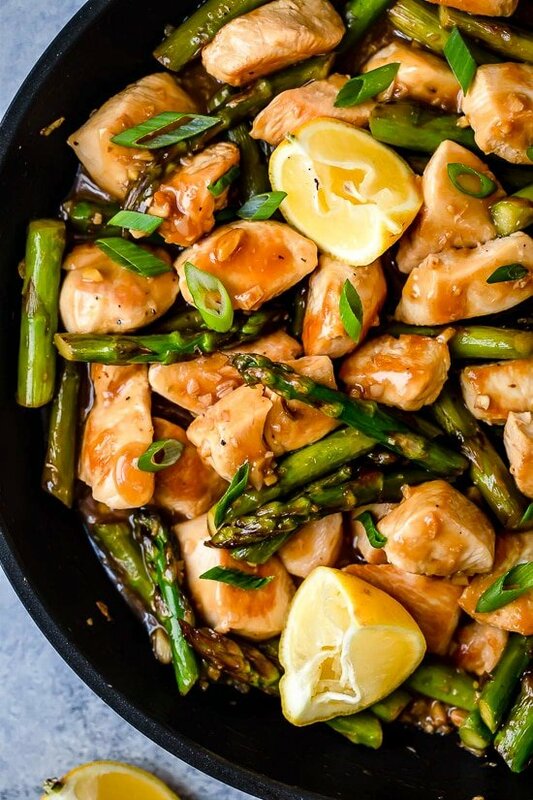 Set aside.Increase the heat to high, then add 1 teaspoon of oil and half of the chicken and cook until browned and cooked through, about 4 minutes on each side.Remove and set aside and repeat with the remaining oil and chicken. 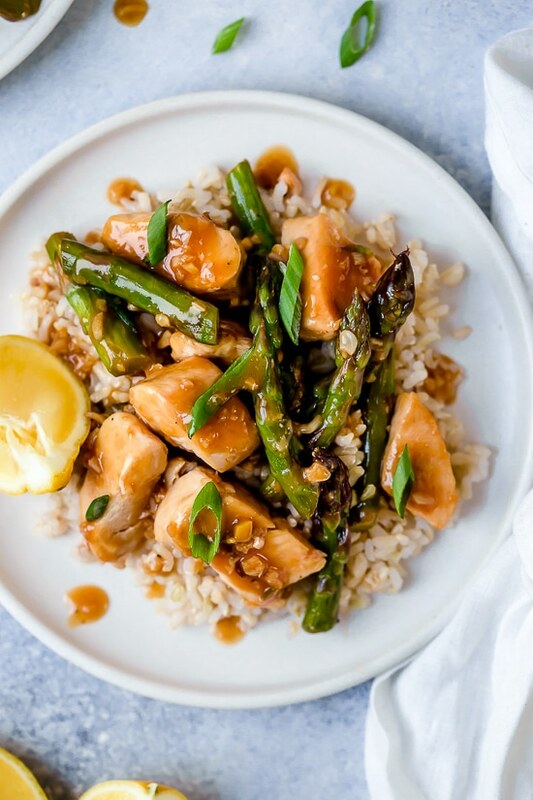 Set aside.Add the soy sauce mixture; bring to a boil and cook about 1-1/2 minutes.Add lemon juice and cornstarch mixture and stir well, when it simmers return the chicken and asparagus to the wok and mix well, remove from heat and serve.